 ISO Certification 9001:2015 is an international standard that defines the minimum requirements for a company’s Quality Management System (QMS). Griffin’s QMS is comprised of a number of inter-related processes that help to institute and control our Quality Policy. These processes are also instrumental in achieving our Quality objectives. 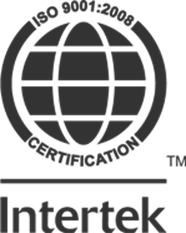 Through these processes and our Quality Policy, Griffin has achieved a strong level of consistency which ultimately results in high levels of customer satisfaction and compliance to the International Standard. During coating the following methods, forms and tools are used to determine critical dimensions, thickness’, adhesion, curing and batch consistencies. Griffin form QC001.rev.1.1 to be obtained and filled out with client name, purchase order or packing slip number. Powder manufacturer, paint code and batch number are to be recorded. Metal chip to be obtained and run with job in question. This enables us to retain a representation of the coating to be run and obtained for future reference and current testing in event a destructive test is required. If further testing is required a sample of product will be required from the client. At intervals during the job the foreman is to physically and non-destructively check film thickness on parts using Defelsko Positector conforming with ASTM – B499 and record findings on form QC001.rev.1.1. An average film thickness will be recorded along with the high and low finding. Technical data sheets and sample chips will be maintained by the Q.C. attendant and referenced for relevant information, i.e. film thickness. Our shop standard is 1.5 to 4 mil film thickness, ranging because of the job shop nature of our business and wide range of powders being used. If a curing issue is reported or inconsistency recorded in powder texture a check of temperature visually via digital gauge and then by BYK laser temperature gauge to determine rate of cure versus temperature and line speed cross referenced with technical data sheet. This procedure will foreman and production manager. Should an adhesion issue be reported, the Q.C.001.rev 1.1 form will be retrieved from the file with the chip. The data will be analyzed for any possible anomaly and destructively tested via ASTM D3359 conforming cross hatching tool supplied by BYK Gardner Instruments. Gloss differences are to be checked visually and reported should the variance be outside a 5° difference.